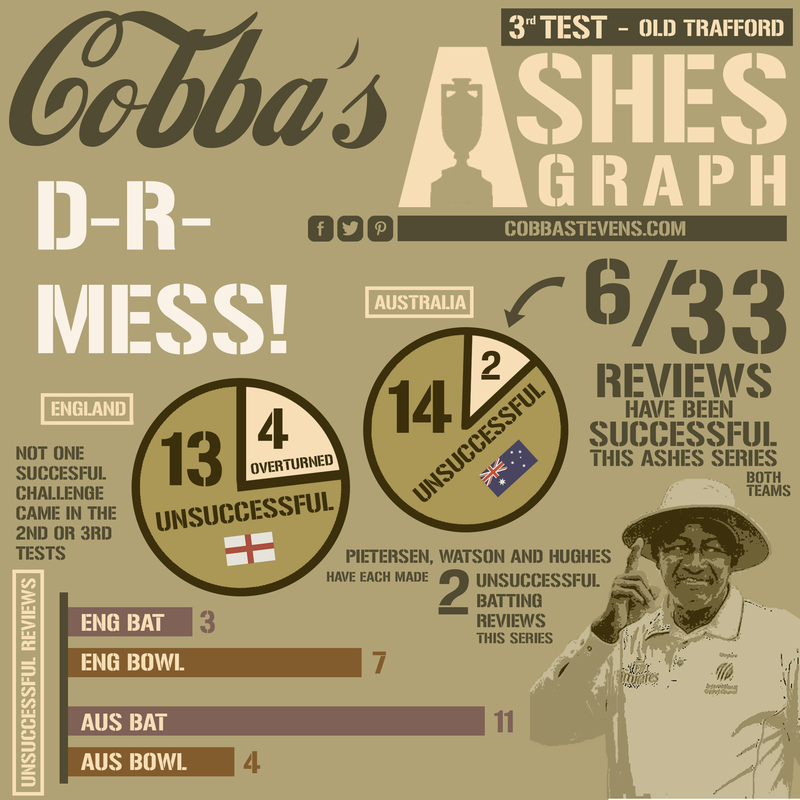 Cobba’s Third Ashes Test Graph – D.R.Mess! One of the major talking points this Ashes Series has been the inconsistency and unpredictability of the DRS system. In truth, the Decision Review System can almost be as reliable as a Zimbabwean election result. The 3rd Umpire has been an outstanding performer so far in this series, and even come close to man of the match on the first 3 tests. Albeit frustrating at times, there’s no doubt the infamous system is entertaining, dramatic and definitely game changing. But how has our statistical record been so far? Captains Cook and Watson have both been heavily criticized for their poor use of the DRS system. Being scrutinized at for their selfishness and poor judgement in their decisions. This graph and stats were calculated prior to the fourth test.